Frame Rate Low, medium, ultra, higher frame rate means smooth gameplay & faster movements. 3: AIM+FIRE+MOVE: now I am using it, later realized Due to scope switch unable to Spray bullets using 3rd it’s better one you can check this video. (Streaming on youtube with internal audio iPhone /Ipad works but android you need to root to record both internal & external voice through the mic, or you just press mic button & hold then internal audio recorded as external but, your voice to teammates not works. as of now, there is app called top recorder early access mode recording both voices but it cannot integrate with brand channels (if you have more than youtube channels. 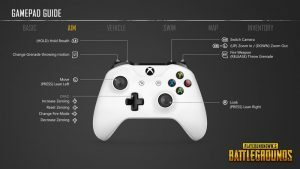 Windows Keyboard Control settings for Pubg. Right look, view control. Keyboard Alt. ADS mode: LT left trigger (Lb not mapped). Holding keys also not working in Logitech & Tencent emulator. Are missing in gamepad with Tencent emulator. 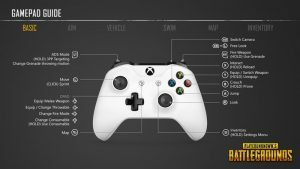 Zoom in & Out RB+left joystick up& down. Reverse (LT) Left joystick also works. swim we use same keys but have to configure & need to remember. R(Right joy stick) +L Move map. Open & close inventory (start button). Vibration: getting vibration when pressed right now. Display Key Mapping for f1. Auto-match the mode based on the game score. LB+X primary weapon left the gun. Alt: hold to suspend bottle royal mode. Q &E: lean left & Right. M: open close map and ‘. Fish to talk Caps lock.